You will find Wedding Specials packages below. You may also create your own by adding a la carte on the Wedding Planner. 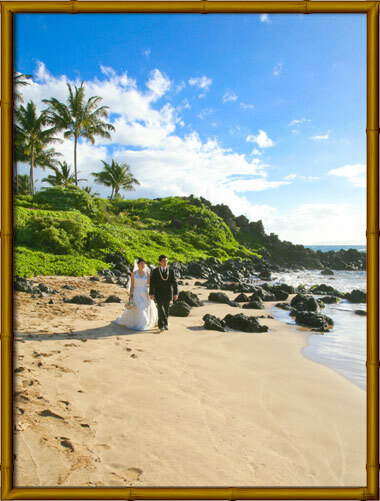 We specialize in romantic Maui beach weddings, Maui vow renewals, blessings, and Maui commitment ceremonies. Private locations and resorts available. We coordinate and create everything for your Maui Wedding. 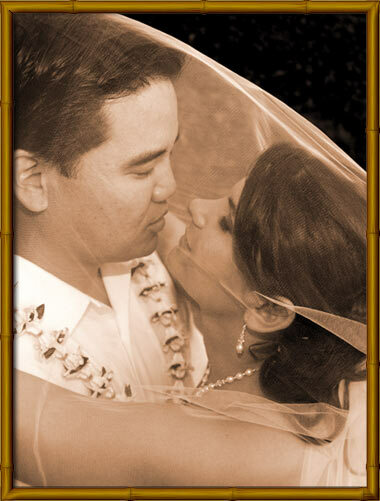 Planning includes minister, flowers, photography, video, limo, hair, makeup, music, hula, cake, luau reservations etc. 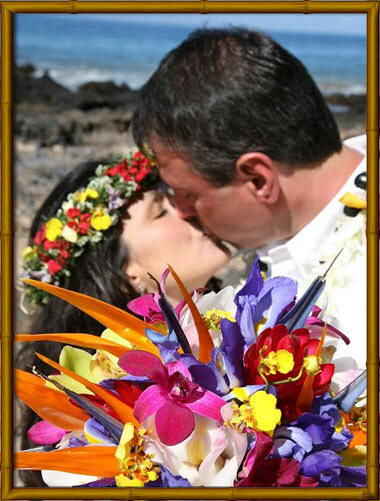 We are known for heartfelt Hawaiian ceremonies and Maui dream receptions. These are our most sacred ceremonies. The State of Hawaii implemented a permit process for beach weddings in Hawaii. This provides a layer of protection for our couples. There will be an additional charge for beach permits and processing. Non Denominational Ceremony. We accept all faiths. Mouse over purple links for more info. Try here! Hawaiian music, ceremony and after shots. re-live your special day over and over! 15% may be added to packages for additions and a la carte. NOTE: 4.166% State tax will be added to all packages.